When many of us think of China, we think of one big group of people called “Chinese.” In reality, China has many minorities — at least that’s how they’re regarded in China. A number of these minorities are descendants of people who migrated to a previously uninhabited area and settled there. 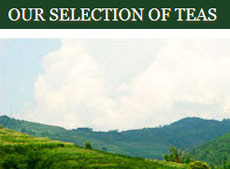 Many planted tea trees or began cultivating/harvesting the existing tea trees. 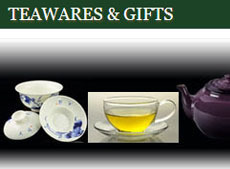 For some, tea growing is a more recent undertaking as they seek to expand goods for trade or sale. They created their own unique teas from these plants, what could be called “MinoriTEAs”! 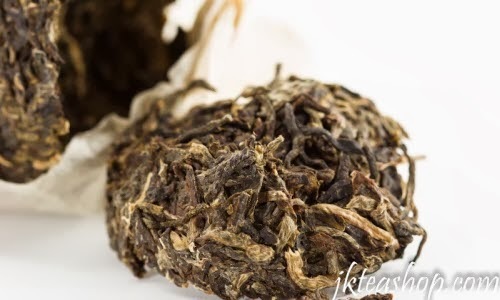 2011 Imperial Handmade Traditional Dai Minority Bamboo Raw Pu-erh — Made by the Dai minority, the premier authority in making this traditional tea, providing the best bamboo pu-erh of all the varieties available in the Yunnan Province. 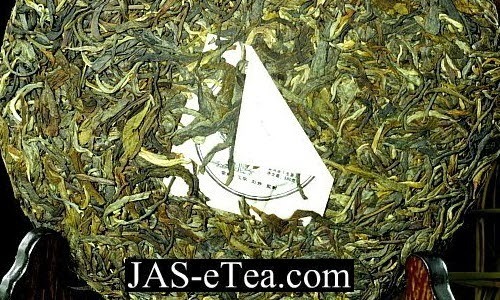 This tea is made from the large leaf variety tea plant from Mengsong and uses only the two-leaves-and-one-bud combo. You will taste the bamboo along with the raw pu-erh flavors. Also available in a 100 grams cake. 2010 Spring Mengsong Mountain Nanbenhe Village Old-Tree Raw Pu-erh — The is a tea of the Hani minority who live in Nanbenhei village and have for over four centuries. Their tea tree arbors are almost at the valley in the Mengong mountains. This particular tea contains only leaves from old trees, steeps up a liquid that has a deep aroma and throat feeling and honey sweetness. The cakes are wrapped in Dai minority handmade paper. 2010 Summit Duping (Bu Lang) raw Pu Erh tea cake — The Bu Lang minority are known as Pu people in ancient China because they were good at cultivating tea wherever they lived. The Bu Lang minority have lived in the Bu Lang mountains in Menghai for almost 1,000 years. Some other minorities (La Gu and Ha Ni) also live there. 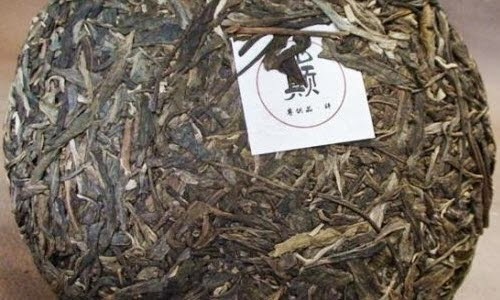 This tea is famous for its super sweetness after a short bitterness, thick tea taste, and high mountain flavor. 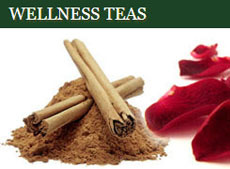 The brand was founded by Pu Erh tea experts and enthusiasts in Guangzhou to offer pure, big-leaf pu-erh tea from big-arbor pu-erh trees with recipes that are formulated from tea originating from a single mountain. Unlike many tea factories who claim their pu-erhs are from specific mountains and old tea trees (but are actually a blend), this brand sticks to the real thing. 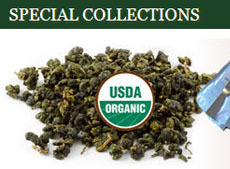 Each of their mountain-specific old arbor teas is genuine. 2009 Meng Hai Bulang Mountain Big Tree Raw Pu-erh Cake — Another Summit brand pu-erh tea from the Bulang Mountain region in Menghai County. This tea has an intense sweetness after an early bit of astringency. 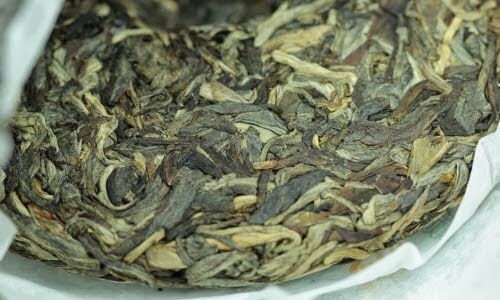 The tea also has a pleasant, thick tea taste and high mountain flavor. You may even find it intoxicating (in the romantic, not alcoholic, sense). Just some of the MinoriTEAs to be found out there. For a truly unique tea experience, seek some out and give them a try. You know, most of these tribes or ethinicities have many different names, as they are titled with another name in each language surrounding them. What you call “Dai” there is the same than Taiyai (or Shan) people, which constitute a major population group in north Thailand. Our “Shan Tea” is made by them, which explains how they got to the Pu Er processing in the first place: their ancestors brought the knowledge and habit from Yunnan. We present the info in a spirit of camaraderie and do our best to be sure all info here is accurate, even though it is not practical for us to present extensive details in posts. 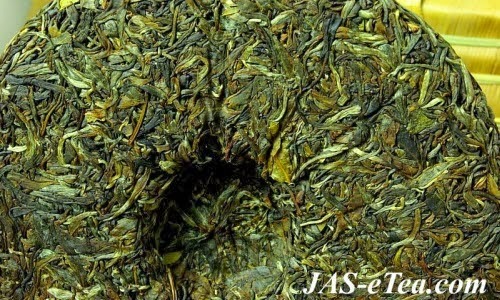 This entry was posted in China and tagged chinese tea, JAS-eTea, JK Tea Company, Pu-erh Teas, Summit Tea Company. Bookmark the permalink.